Hate messy cable managment? 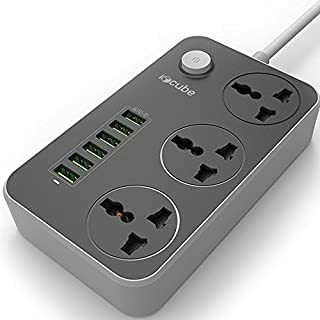 or worrying that there are not enough USB ports? 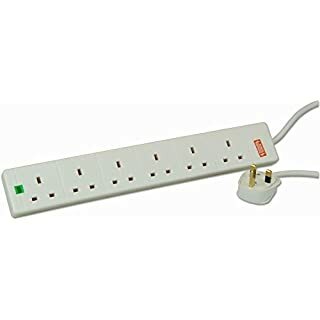 Then here is the extension lead that can solved all the problems above. 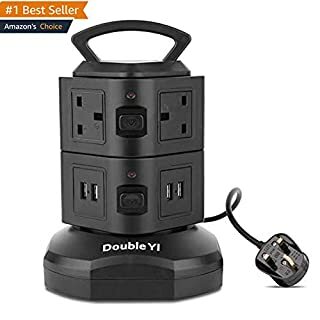 ★ Product Features ✔ All-in-1 Power strip + USB charger With 3 Universal charging sockets: 3 AC outlets and 6 USB ports, you can now charge all your multiple devices at once. 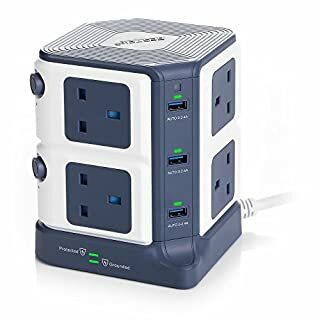 Saving your time and Protect all your devices with surge charge protector. 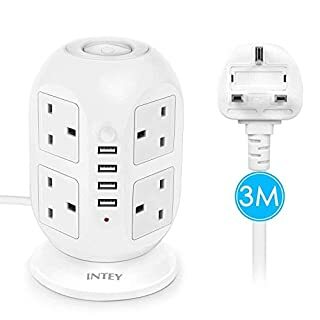 ✔ Full-Speed Charging A total power AC output of 10A(Max Output), and 4.6A general output of USB ports(Max 3.4A for one port) means that the power strip will not blow a fuse easily, allowing you to charger high-powered devices. 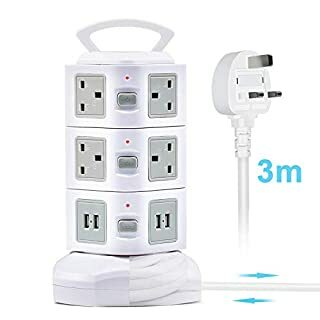 ✔ Family-Sized Power Strip Compact family-sized shape fits nicely near your workstation, nightstand or even the entryway desk, creating the perfect charging hub for your gear or the family's. ✔ Quality First High-quality plastic shell and premium circuitry guarantee its long lifetime. Using top-grade microchips, achieves full-speed and also full safety. Certified by CE & FCC, rest easy and enjoy a simple life. 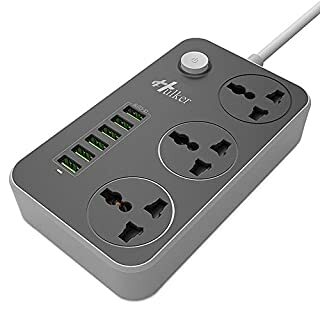 Output Current: AC110V-250V / 50-60Hz / 10A Total Output USB: DC 5V / 4.2A Product size: 162x97x38 mm Main material: PC & ABS Power cord: 2m (6.5ft) Weight (kg): 0.2kgHead Type: UK Colour: All Black / Black-Grey/ WhiteThe iBlockCube Advantage: - Every iBoxCube Product has been tested to guarantee full compatible with various devices. - Fast and easy-to-reach Customer service to solve your problems within 24 hours. If you come across any problem, contact us to get our professional and efficient support. -We provide 12 month warranty to all the product we sold, to ensure customer satisfaction. 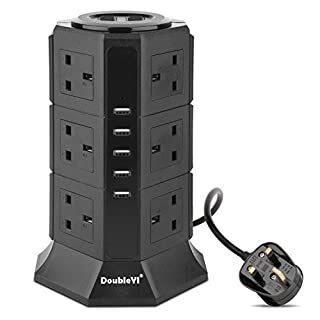 Compact Multi Outlet -With 8-Outlet and 4-USB ports, a perfect power strip socket charging for most electrical device at the same time, no need two or more tower socket overlaid to charge for your device which saves your space. 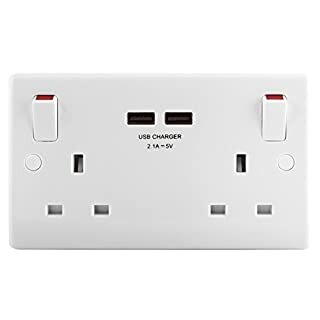 -Vertical design saves space and you can get power at any angle you want. 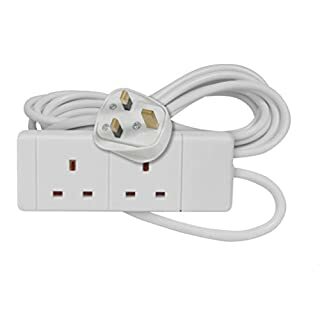 9.8 Feet Protective Cord Use the USB power strip with a distance and the PVC cooper cable is over-heating protection Smart LED Initiator Built-in separate individual power switch with LED indicator for power saving option Safety Protection Made by fireproof ABS plastic and 110-250V worldwide voltage, guarantee charging security, overload and over-heating protection Specifications Color: White Product Size: 15 x 11.9x 18.3 cm Material: ABS +Fireproof plastic Switch: 2 pcs double pole switch Current: 10A Voltage: 110V~250V Power: 2500W Frequency: 50~60HZ USB Rated Voltage: 5V USB Current: 2.1A and 1.0A Cable: 3M/9.8 Feet Weight: 710G / 1.56LB Package Includes: 1 x Smart Multi Sockets 1 x Stroage Box 1 x User Manual Note: Total power is not over rated power; Do not use in wet place; Keep away from Children; Relax the cable in use to avoid inductive effect. The D-Link large cable tidy unit is designed to hold a full 6 way extension block. This unit is perfect for hiding unsightly cables from TV's and computers. It's neat and stylish design fits in with all types of rooms or dcor. Overview: 1. Suitable for Home and Small Project Which Help You Record, Playback and Remote. 2. 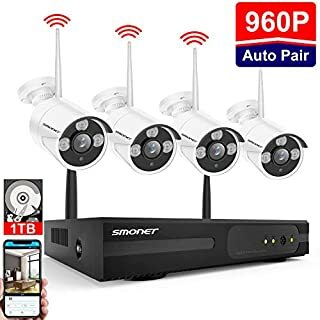 This All-in-One Four Channel NVR Kit Allows 4 Outdoor 960P Cameras to Connect and Set Up in Just Minutes. No Need Wires Anymore, No Exposed Lines Anymore, More Beautiful, More Hidden, More Safely. 3. Strong Anti-Interference and 65ft Night Vision, 1280*960 Image Sensor Makes More Clear and Stunning Picture and Video. 4. 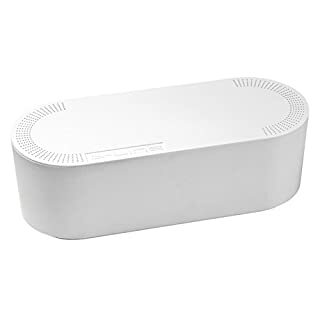 Supports Multi-Alarm Triggered(Video Loss, Motion Detection) and Alarm Alert(Sound, Email, FTP etc). 5. View the Video on the Mobile App from Anytime and Anywhere after easy setting. Very Convenient. NVR Features: 1. 4CH 960P Wireless NVR Recorder 2. 3520D Processor and Embedded Linux Operating System 3. Support Video Preview/Recording/Playback/USB Backup 4. Support Android/IOS/PC Remote View? 5. Networking Protocol: UPNP, SMTP, PPPOE, DHCP etc. 6. 1 SATA Port, 1TB HDD Included, Up to 6TB Each, 2 USB2.0 Port 7. 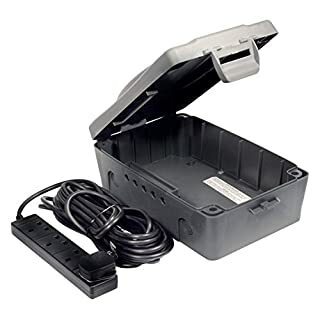 Power Supply Input: DC12V-2A 8. Power Dissipation: ¨Q5W Camera Features: 1. Image Sensor: 1/4'' Color CMOS 2. Image Resolution: 1280*960P 3. Lens: 4mm Lens 4. Night Vision: 100 Feet (30m) 5. Minimum Illumination: 0 Lux (IR On) 6. Weatherproof: Yes 7. 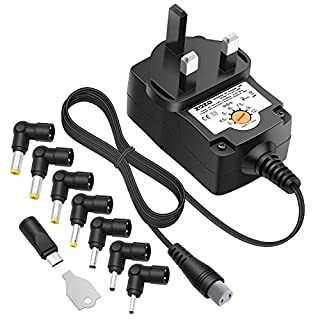 Power Supply Input: DC12V-1A 8. 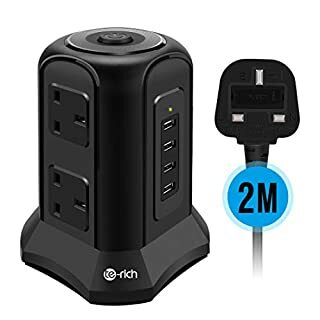 Power Dissipation: ¨Q6W Package: *4CH WIFI NVR(with 1TB HDD) x1 *960P Waterproof IP Cameras x4 *Power Supply (12V-1A) for Cameras (Cable Length: 10 Feet) x4 *Power Supply(12V-2A) for NVR (Cable Length: 3.3 Feet) x1 *Network Cable (Length: 3.3 Feet) x1 *Mouse x1 *User Manual x1 *Screw Bag x1 (You Need to Buy a Monitor, a VGA or HDMI Cable and a Router)1 Year Warranty When Purchased from Smonet. Thanks for shopping from us.Any problems during using our device, pls do not hesitate to contact us based on user manual contact information. 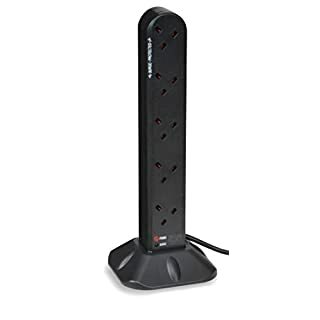 GLCON Power Strip Tower, with 10 universal outlets and 4 usb ports, Individual switches for safer usage, small footprint for easier deployment. 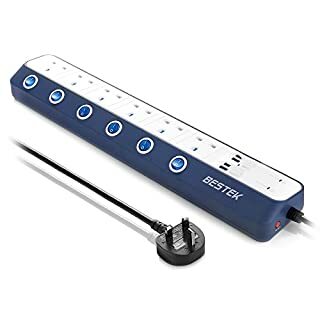 Well organized extractable surge protector cords, Great centralized management for all your electric, electronics, appliances, PC, TV, Cell Phones etc.What Features and benefits of GLCON Tower Power Strip? 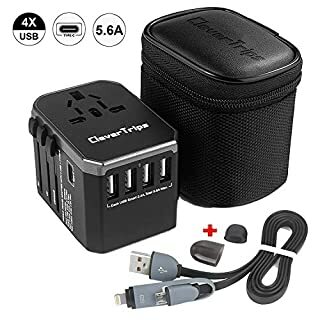 One Stop Power plugs and charging solutions10 universal outlets and 4 usb charging ports, for enough for any situation no matter on computer room, TV desk, Kitchen, Children's room, Office desk, School lab or any other places need more and more outlets. Safe and Safer Surge Protector Individual switches for all power sockets LED indicator to illuminate if the outlet is on/off Handle design, convenient place to move to eliminate the risk of electric shock hazardCooling hole design, exhaust heat while charging, durable and long-life Organized and Easy Deploy Small footprint, you can put it any where Power cord retractable, make your table looks clean and organized Handle design, safe and easy to move Vertical layout, all outlets or usb port can be fully used without any space confliction. 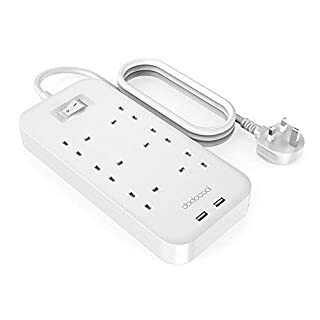 ZOZO Universal 12W Power Adapter for Home Electronics *With protection of over voltages, over current, short circuits and over temperature, bring much safety! *12 Month Warranty to make sure excellent user experience! Specifications: Input:110-240V Output: 3V, 4.5V, 5V, 6V, 7.5V, 9V, 12V Power: Max 12W Tip size: Tip1: 5.5x2.5mm Tip2: 5.5x2.1mm Tip3: 4.8x1.7mm Tip4: 4.0x1.7mm Tip5: 3.5x1.35mm Tip6: 3.0x1.0mm Tip7: 2.5x0.7mm Tip8: Micro USB connector Compatible with: 1.Tip 1 to Tip 7: Many small household electronics, like routers, CCTV cameras, Radio, Speakers, LCDs, Pi 1 2 3 etc. 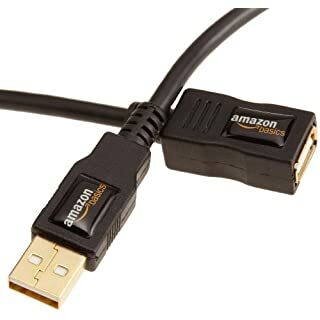 2.Micro USB port are used to power most Android Smart Phones, Tablets, BT Speakers and other Micro USB charging devices.